I battled acne for many years (beginning in my teens), and experienced a devastating low point in my late 20s/early 30s, where I developed a resistance to antibiotics that produced a strain of acne which no doctor was able to successfully treat. My confidence was at an all-time low, and I had no answers as to how I could possibly rectify the severe acne symptoms that suddenly and unexpectedly surfaced. Since doctors were not providing me with a viable resolution, I decided to put together all of the methods I learned of when researching acne remedies, producing a routine that hopefully over time could prove beneficial. One of the products I found in my search was the Clear & Smooth Acne Cleanser and Natural Soap, both of which received very high praise from others, so they became two of the foundational products that I used as I attempted to heal my skin. After several months, the routine I was following proved to be incredibly potent, and brought my skin to a level of clarity that actually prompted my dentist, who noticed the difference between my skin between visits, to ask what my secret was. Part of the success equation for me was using the Clear & Smooth Acne Cleanser with Natural Soap, and unlike so many other products sold in stores and through the Internet, the manufacturer seemed to not only take a personal stake in providing natural, effective, researched and tested solutions, but also had many satisfied customers to prove the effectiveness of his creation. I therefore decided to populate my skin care section here at IncrediBody.com exclusively with his products. About 6 years ago my wife and I were visiting a friend of ours who was an amateur Natural soap maker. She made all sorts of pretty soaps and I thought this was sort of silly. The more I talked to her the more I realized there might be something to all of this. She noticed my neck looked irritated and red. She thought it looked like a soap allergy and gave me a bar of her home made soap and asked me to try it one time. I had a constantly itchy scalp and bumps around my hair line and places on my body that I scratched almost until raw. And I had dealt with this problem for decades and thought this was just something to be tolerated. Never in a million years did I realize this was an allergy to store bought soaps. And if it was then why would another soap help my condition? Of course as you might have imagined, her soap helped dramatically. I spent the next year refining her process, reading everything I could read and finally arriving at a formula that was considerably better than that first soap I tried. So much better that we call it the ‘best soap in the world’. Well that was 10’s of thousands of bars of soap ago. We buy our materials by the 55 gallon drum now and make a batches of 500 bars at a time. It sells so fast, it’s all we can do to make it fast enough. We always have drying racks filled with thousands of bars of our Natural soap. It’s not a pretty soap. It only comes one way. No added smells, no added coloring. But ohhh is it good! It just melts into your skin. Your skin feels and is so clean after a shower, some tell us they no longer need to worry about how they smell all day. • Diane says: I use the soap for everything. I don’t even touch my shampoo anymore, except when I want a particular scent or just for variety. 90% of the time I use the soap on my (colored, dry) hair, at least half of the time without even using conditioner, and it works beautifully and pulls less color than products that are designed to preserve hair color. go figure! you’ve developed a really special product there. I can’t even consider an alternate cleanser — I have to use the treatment product and the soap, even if Shu Uemura (also recently acquired by the giant conglomerate of L’Oreal, interestingly enough) sends me a very attractive email. I love their skincare, but yours works better. • Linda says: I’m 48 years old and have struggled with problem skin my entire life. I had stopped using bar soap altogether and was using a high-end natural nonsoap cleansing bar by Dermalogica. (Just do a quick search on eBay and you’ll see how expensive it is.) It is a very good product, but I’ve gotten better results with your soap which lasts longer and is a much better value. Thank you for developing such wonderful products! • Patti says: I’m getting low on my first bar of your soap and couldn’t bear to run out. For the past year I have had dermatitis and have tried everything including prescriptions. After a week I could see a difference in my skin and the severe itching had disappeared. This is a Miracle! I will never be without this magnificent product. Thanks for providing a safe, natural product that I truly look forward to using. • Carloyn says: I just want to tell you how much my husband and I love this soap. He has Haley-Haley disease and it is the only thing he has found to clear up his skin disease. Even his doctor was amazed at how it has improved since using this soap. If anyone else has this disease, I highly recommend using the natural soap. It clears the disease up and keeps it from breaking out again. Thank you so much! • Brooke says: I LOVE this soap!!! It is the only thing I have ever found that works for my sensitive skin. Thank you so much for making it… and please don’t stop! • Mallika says: now that i’ve tried your soap, i can’t use anything else. it’s so great! • Diane says: My skin feels so wonderful after using it. It hasn’t felt at all dry like it use to. • Carol says: Just wanted to thank you. I have used your soap for a couple of years and it is one of those luxuries from home that I just love! My husband and I are missionaries in Guatemala. Sometimes it is the little things, like really nice soap, that can make a difference… I appreciate you and your company. Keep up the good work. How Did We Make Such An Amazing Soap? By not being in a hurry! We found out why those ‘pretty’ soaps didn’t feel so good to use. There are ways to speed up the process of making Natural soap. These other guys can make it start to finish in 2 to 3 weeks. We discovered, through experimentation, with the process and the ingredients that we could actually slow the process down. This made an even better soap. Like a fine wine, we only ship our soap when it’s ready. • Why is your soap so ugly looking? Yes we make no claims for pretty. We didn’t care what it looked like. We figured we’d just give a free bar with the treatment and get them to use it. NOT to put on display in the bathroom. What we wanted was an effective soap that could be used between treatments. That kept your skin clean and soft and smooth and refreshed. • What kind of smell does your soap have? It really doesn’t have an odor. You just smell clean after using our soap. Sorry you want smell wear a perfume (or cologne). You just can’t believe the compromises you have to make to have a soap smell. • Does your soap lather well? WOW does it ever! You know how you have to lather up a wash cloth 2 or 3 times with the soap you’re now using to get all your body clean? One time is usually all you need to wash your whole body with our soap. It lathers like crazy! And your skin feels wonderful! 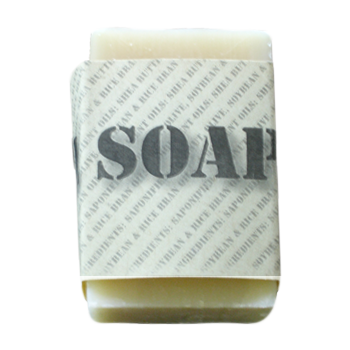 AND you know how many people throw out those other bars when they about a third or a quarter gone, because they don’t lather anymore (mainly because commercial soap is squeezed so hard almost all of the natural glycerin deep inside the bar is gone), well not with our soap. Use it right down to the last bit, and it still lathers like crazy. • Why should I use this soap? People with challenged skin, broken out skin and with other skin problems like Acne, Dermatitis and Eczema are making their skin worse by using store bought soaps, most of which are anti-bacterial. • I thought that anti-bacterial was good? For one thing, these chemicals (drugs) really don’t work that well, as they build up bacteria’s resistance to these chemicals to the point that when we really need these chemicals (drugs) to save our life, they won’t work. NOT GOOD! These chemicals actually make Acne challenged skin worse. When I was a teen (over 30 years ago), it seemed that most people outgrew acne by the time they were an adult. MSNBC recently reported that 45% of adults now suffer from acne and other similar skin problems. Can this be related to skin sensitivity that develops through use of these poor quality soaps? No one knows for sure. But I think so. • What about low pH soaps? A lot of people don’t really understand pH. pH is a measurement of a products acidity. Low pH means Acidic. High pH means Base. 7 is considered neutral. Right now it is a catchword in advertising to sell low pH soaps and cleansers. But fads are sometimes just that… fads. Low pH soaps such as what Dove sells won’t make your skin feel any better than our higher pH Natural soap. In fact, most people are amazed at how wonderful our soap makes their skin feel. This is because it truly gets the skin clean. Low pH soaps don’t properly clean your skin. Leaving embedded dirt particles, which serve as hiding places for the bacteria that causes acne and other skin problems. Fighting skin problems is a process that must include keeping the skin meticulously clean. • What’s in your soap? It’s real saponified soap made from oils like soap used to be made (Coconut, Olive, Soybean and Rice Bran oils – no animal ingredients). But the old fashioned soap was harsh. 75 years ago when grandma made soap with basically lard and lye, she didn’t know how to fine tune the ingredients. She just threw in a handful of this and a handful of that. Our soap’s all vegetable -high quality- ingredients are tested, high tech and carefully crafted down to measurements in the +- .002 range. That makes this soap refreshing to use. Your skin feels soft and clean and wonderful. It’s hard to explain the difference until you’ve tried it. We use two exotic butters as skin emollients (natural shea butter from West Africa and mango butter from India). 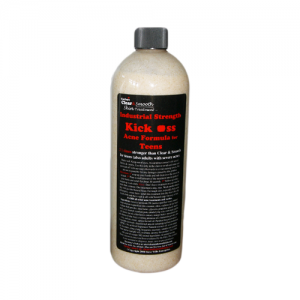 We also use apricot kernal oil and castor oil, which are wonderful emollients. When we tell you your skin will feel wonderful after using, along with our finely crafted natural soap, these emollients are part of the reason why. Most experts agree, these are the best skin softeners and emollients available today. Way too expensive for most soap companies, though. • How is it made? We hand mix all the natural ingredients. They are combined at precise temperatures and then poured into large molds. After a few days, our soap is then solid enough to be hand cut from these large blocks into bars. We then air dry our soap for about 2 months (nobody does it 2 months!). This extra drying time mellows the soap. As you can see it is very time and labor consuming. But we feel this very special soap is worth the effort. • What does it look like? Not too good looking. It is not spit out of a machine. Each bar is unique and since we don’t use any dyes to color it or high pressure to mold it, it can be ugly. OK it is ugly. Who cares? IT WORKS! • Will this make my skin greasy? No, in fact this will help balance your skins oil production. It’s a common misconception. Products that strip oils out of your skin, signals the skin to start producing more oil. Besides, our Natural soap does not feel oily. • Rose says: Hi, I have been using your moisturizer and soap for about a week. I noticed a difference in my skin the first day. I have used a lot of products over the years but I can honestly say these are the best! My skin looks and feels wonderful! • Dayna says: This soap is amazing…from the later to the feel afterwards, it is WONDERFUL!!! Beats out L’occitane by far!!!! Thanks again, I CANNOT run out of this soap, EVER!!!! • Therese says: We’ve only used it for two days, and it’s the only soap I want to use! • Katina says: This is a reorder…you sent me your soap as a freebie with an order of the cleanser. My skin just GLOWS with this soap, I’ve let myself just about run out before reordering…silly me! To be honest, I’m always looking for something “better”…always. Even after I discovered your soap I still continued to piddle around with other products, then wonder why my skin is problematic. Go figure. I’ve found that your soap is the ONLY facial cleanser that leaves my skin soft & supple & beautiful. Can’t wait to get my new order. • Denise says: With my last order of “Clear & Smooth” acne treatment, you included a wonderful new facial bar which is made with shea butter and lots of other good things. The promo band around the bar promised that it would be “addictive” and it certainly is! The combination of “Clear & Smooth” with that facial bar is outstanding. As promised, my skin is clear, smooth and hydrated. It looks better now at age 40 than it ever did in my 20’s! Many thanks for your wonderful products! • Deborah says: I wanted to thank you for the free bar of soap you included with my last order. I am nearly out of it and would like to order some more. My skin feels so soft and the winter itching from dry skin has improved. You receive a no questions asked 90 day money back guarantee, where there is no restocking fee, and we not only refund your full purchase price, but also pay the shipping cost for you to send what remains of the product back to us! This allows you to order with complete confidence, and we can offer such a powerful money back guarantee because we are fully confident that our high quality skin care line will provide you with the excellent results you’ve been seeking. Give this a try! • Our natural soap is made with ingredients that help balance the skin. • Soaps often contain additives that result in allergic reactions, leading to acne, rosacea, and other skin disorders. • We hand mix all of the natural ingredients that comprise our soap. • 90 day unconditional money back guarantee, where we will even pay you to ship the product back to us if you are not satisfied.